How to Learn Vedic Maths at Home – Are you looking for the ways to learn Vedic Maths at Home? If yes, then there could not be a better place than this. Vedic Math has become one of the necessities of the present time for the children to learn math in a better way. You can also learn it at home with a variety of different methods that the present time offers. We will let you know about the various ways that can help you learn Vedic maths at home. 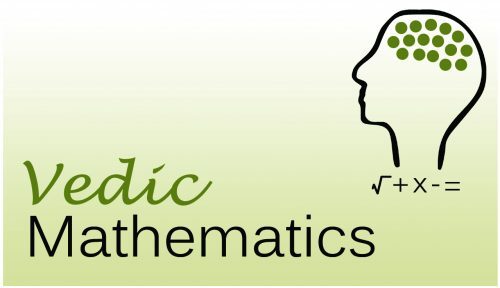 Vedic Math is one of the ancient and the most effective techniques to learn math easily. This method has been in the service for a very long time now. People are finally getting aware of its importance and enrolling their kids to learn it for better academics performance. There are plenty of mediums that can help you to improve your learning skills even at home. Most of the people do not have enough time to enroll their kids to the training institutes, while others do not have enough finance. Therefore, these methods are really helpful in learning Vedic Math just by sitting at your own home. Scroll down to check them out. You can purchase the books of Vedic Math and can learn the techniques by yourself. Books are one of the best ways to grab the best knowledge. One of the other ways to learn Vedic Math is through the Internet. A number of videos, articles, pdf, e-books are available on the internet that can help you understand the techniques better. You can also buy videos that wonderfully explain the concept of Vedic Math. Also, you can take the help of your known persons who have a deep understanding about this course. You can simply just meditate which will further improve the concentration power that will help you to learn things in a better way. What are the benefits of learning Vedic math? Well, there are plenty of benefits that you can be showered with after learning Vedic Math. This is extremely beneficial to not only level up your math skills but also your overall personality. Below mentioned are some of the other benefits of learning Vedic Math. With Vedic Math, there would be no need to memorize tables. One of the best benefits of learning Vedic Math is that it helps in increasing the overall confidence and concentration power. 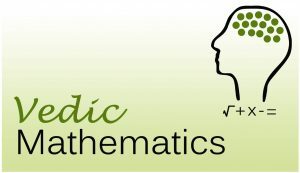 Vedic math helps you in grabbing the best and the basic knowledge of maths. It is a very effective technique for the slow learners to learn math in a faster way. This technique also helps you with the speedy calculations. So, if you were searching for the ways to learn Vedic Math at Home then I hope this might have been helpful for you in some ways. You can be brilliant at the most hated subject Math with the Vedic Math. So, go ahead and now implement these ways in your daily routine to get the best out of this ancient technique. You can learn it yourself as this technique is not only limited to the young children.